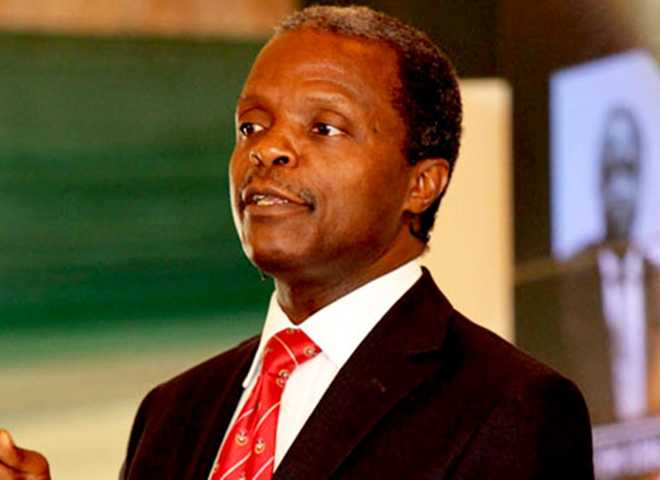 Vice president, Professor Yemi Osinbajo has called for religious tolerance among all Nigerians as a prerequisite for the country’s socio-economic and political development. Naija News understands that he made the call on Sunday, while speaking at the Ahmadiyya Conference: the 66th Jalsa Salana-Love for all, hatred for none in Ilaro, Yewa South Local Government Area of Ogun State, where he was the special guest of honour. Meanwhile, it will be recalled that Osinbajo had earlier visited Bauchi State to witness the wedding of former Gov Muazu’s daughter before travelling to Ilaro, Ogun State to grace the event. The Vice President who commended the members of the religious group for promoting peace and unity among Nigerians and people of the world also singled out traditional rulers for their support for government policies and programmes. “Our country is one where many times, people want to create division between Muslims and Christians, they want to create division between tribes, the want to create division between different people but God sees us as one. “He does not see us as tribes, he sees us all as one people and I want to thank you in particular because you have continued to preach that message of peace and at this particular event, I want to say especially that what I will leave with you is that our country can be great and will be greater because of people like you who are here,” Osinbajo said.